Put your product development on the fast track by leveraging Control Solutions' existing product line. Add open protocol capability to your proprietary product with a custom fitted plug-in module that adds Modbus, BACnet, or SNMP to your product. Add a web interface to your product. Or add other forms of web connectivity to get your product into the world if IoT (Internet of Things). Add cellular or other wireless connectivity to your product based on Control Solutions proven track record in wireless. Add embedded controls to your product. 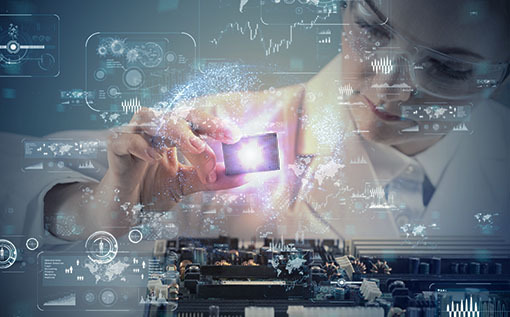 Control Solutions has a library of proven embedded control designs incorporated into its products, and is readily able to mix and match features to create an entirely custom embedded controller for your product. While our network gateways tend to focus on building automation and facility management, our custom embedded controllers have gone into food processing equipment, agricultural equipment, and things more industrial in nature. Control Solutions welcomes opportunities for customization and private labeling of anything in our product line. Our design team has many years of experience in electronic product development. Re-branded firmware on the inside (change web page logo, etc). Control Solutions welcomes conversation about total customization of a standard product. We generally start with a proof of concept using off-the-shelf products first. Then we review functional and cosmetic changes, evaluate feasibility, and present a proposal for development. Control Solutions was originally a spin-off of a contract design and consulting company, and we haven't forgotten how to do development projects on contract. Contact our technical team today about your requirements! The Babel Buster SPX is one of several Control Solutions products that have been private labeled by one of several OEM customers. A little bit of graphic art creativity transforms the original product (left) into a unique design having its own personality (right). Here is an example of a totally customized version of a Control Solutions product. Our customer liked the features of AddMe Lite (Modbus) pictured here (left), but needed both customized packaging and features. The resulting product is shown on the right with enhancements defined by our customer's requirements. The 30VDC FET outputs were replaced with 120VAC triacs, only 3 inputs were needed, and this product would have a fixed configuration eliminating any field or pre-installation configuration. This application required a local digital readout of one simple parameter, in addition to a web server with customized firmware specific to the application. The standard IB-110 had 90% of the requirements already in place. 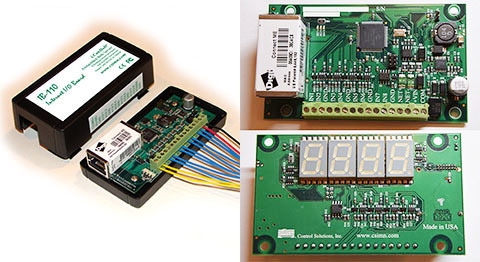 The I/O configuration was rearranged slightly, a display added, and firmware enhancements developed by Control Solutions. A custom solution does not always require a custom designed circuit board. 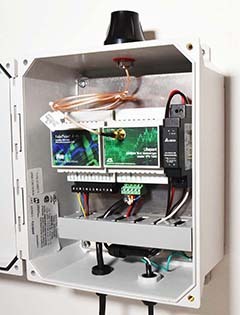 Control Solutions can assemble control panels consisting of off-the-shelf Control Solutions products along with other third party produces as necessary to create a complete system.